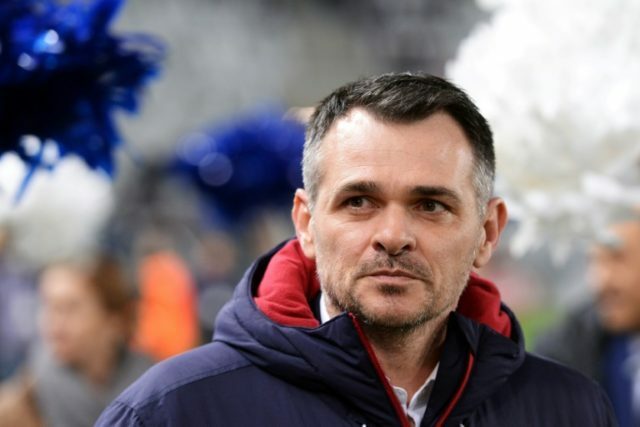 Berlin (AFP) – Bayern Munich will begin life after Carlo Ancelotti this weekend, as interim coach Willy Sagnol takes the reins ahead of Sunday’s visit to Hertha Berlin. The Bundesliga champions were humiliated in a 3-0 defeat by Paris Saint-Germain in the Champions League on Wednesday, and the club reacted immediately by sacking Ancelotti on Thursday. After losing 2-0 away to Hoffenheim and throwing away a two-goal lead at home to Wolfsburg, even Bayern’s Bundesliga form has been far from their usual dominance in recent weeks. With the club stranded in third place behind Hoffenheim and leaders Borussia Dortmund, rumours of growing disharmony in the dressing room had only increased the pressure on Ancelotti. Facing criticism from the fans and the media for his failure to accomodate Thomas Mueller, Ancelotti’s relationship with the likes of Robert Lewandowski, Arjen Robben and Franck Ribery was also reported to be under strain. As Sagnol takes over for the time being, Bayern will be looking to reboot their season when they travel to Berlin. Here are five things to look out for in the Bundesliga this weekend. Ancelotti was heavily criticised for his team selection against PSG, and Mats Hummels, Robben, Ribery and Jerome Boateng can expect to return to the starting lineup against Hertha. “I expect a positive development from the team, and an absolute desire to perform,” said club chief executive Karl-Heinz Rummenigge after Ancelotti’s dismissal. After the result in Paris, nothing but a win will be acceptable for the Bayern hierarchy in Berlin. Hertha rested several key players for their Europa League clash with Ostersund, and the likes of Karim Rekik, Rune Jarstein, Marvin Plattenhardt and Mathew Leckie are expected to return against Bayern. Victory away to Augsburg on Saturday would keep Borussia Dortmund on top of the Bundesliga, and history speaks in favour of Peter Bosz’s side. Dortmund have never lost in Augsburg, while star striker Pierre-Emerick Aubameyang has scored eight goals against them over the years, including a hat-trick on his Bundesliga debut back in 2013. Aubameyang will start for Dortmund, but Bosz is expected to rest several players who played in the defeat at Real Madrid last Tuesday, including Omer Toprak and Gonzalo Castro. Unbeaten in their last five games, Augsburg are flying high in fifth, and will be boosted by the return of captain Daniel Baier from a one-match ban. RB Leipzig may be without star striker Timo Werner when they travel to Cologne on Sunday evening. Werner was substituted off due to breathing problems during Leipzig’s Champions League defeat at Besiktas on Tuesday. With Naby Keita still serving a suspension, Leipzig could be missing their two best players as they come to the end of an exhausting seven games in three weeks. Cologne, meanwhile, are still looking for their first win of the season, having picked up just one point from their opening six matches. Traditional rivals Hamburg and Werder Bremen both hope to get their seasons back on track when they meet in the northern derby on Saturday evening. Hamburg have lost all of their last four games, and are still without injured forwards Filip Kostic, Nicolai Mueller and Sven Schipplock. Bremen are second from bottom and are still searching for their first win of the season. They too are missing a key striker in Max Kruse. Hoffenheim are hoping to keep the pressure on league leaders Dortmund with a win against Freiburg on Sunday. Second-placed Hoffenheim fear they may be without key players such as Sandro Wagner, Serge Gnabry and Nadiem Amiri.